El medio tigre- medio lince es una criatura muy original. Por otro lado la elfa tiene una pose muy interesante, con una armadura que puede dar mucho juego. En cuanto a las posibilidades de pintura, sobre todo se podrán practicar el NMM, o RMM como se prefiera, además de cueros y pintura del pelaje del tigre-lince. También se podrá disfrutar pintando una bonita cara femenina y un precioso cabello con esa estupenda coleta. Podríamos jugar también con una doble iluminación o incluso un OSL. El atractivo de la figura creo es sobre todo la originalidad de la miniatura del tigre, y la armadura de la elfa. Entre ambos, además, transmiten una gran compenetración que todos querremos plasmar al pintar. What would be special about this figure when compared to others in the market? The half tiger-half lynx is a very original creature. On the other hand the elf has a very interesting pose, with an armor that can give a lot of fun to paint. As for the possibilities of painting, above all you can practice the NMM, or RMM as you prefer, as well as leathers and coat paint of the lynx tiger. You can also enjoy painting a beautiful female face and a beautiful hair. We could also play with double lighting or even an OSL. 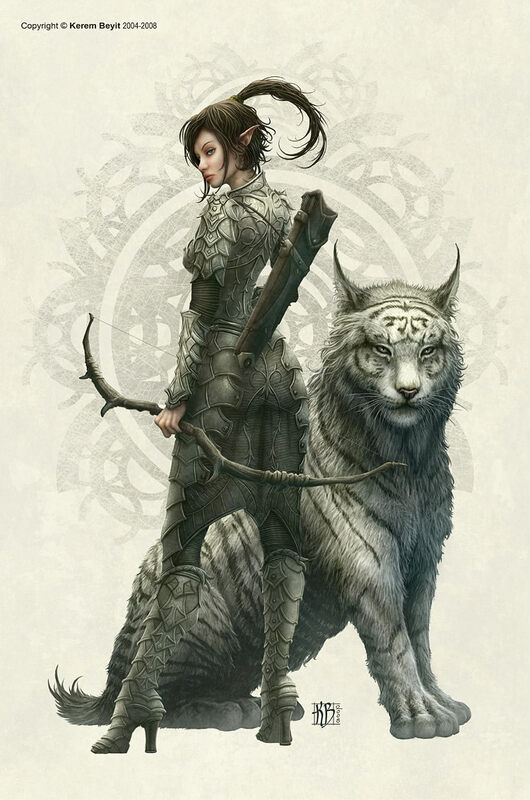 The attraction of the figure I believe, is above all, the originality of the tiger’s miniature, and the elf’s armor. Between both, in addition, they transmit a great rapport that all will want to taste painting them.